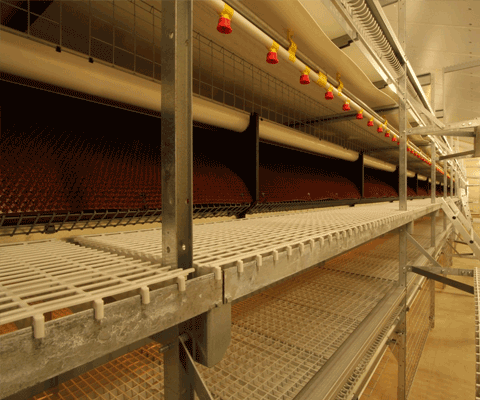 Aviary systems result in optimal production and provide a good overview of the house. Slats form a living surface of the animals. 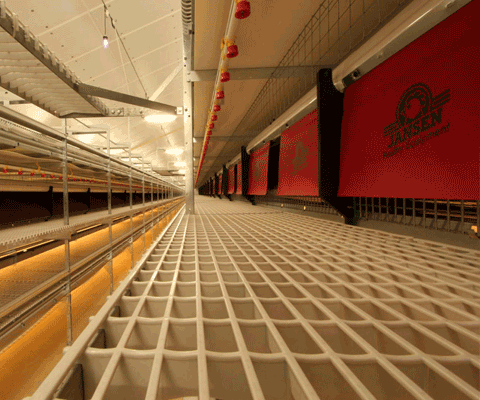 It is essential that this surface gives optimal support and comfort to poultry. 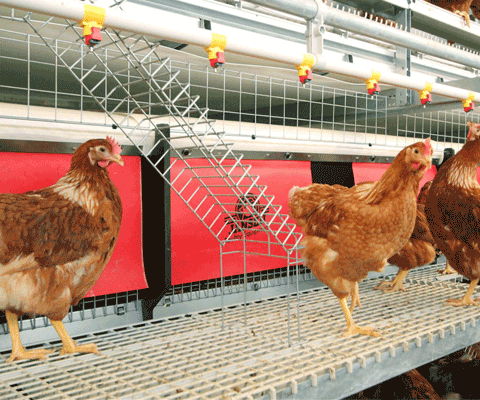 Laying nests are designed from the perspective of hygiene, comfort and optimal egg quality. The nests offer hens the ideal nest environment. 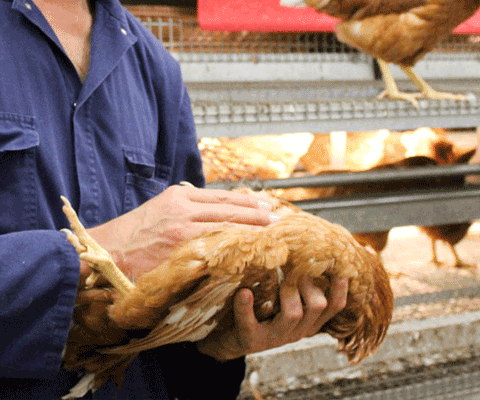 Poultry specialists offer poultry farmers customised management advice to achieve maximum return on investment. 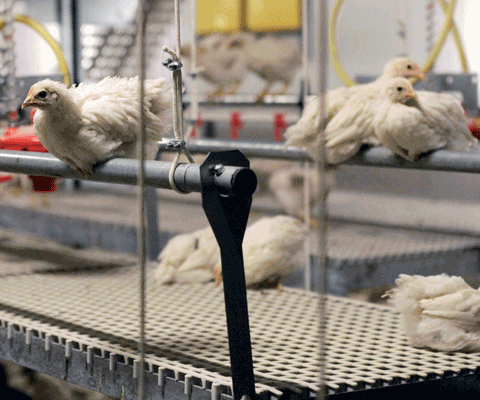 Rearing systems prepare young hens for their future in aviary systems by training them to jump and fly. Hens reared in rearing systems perform optimally. Products that we provide in addition to the systems. 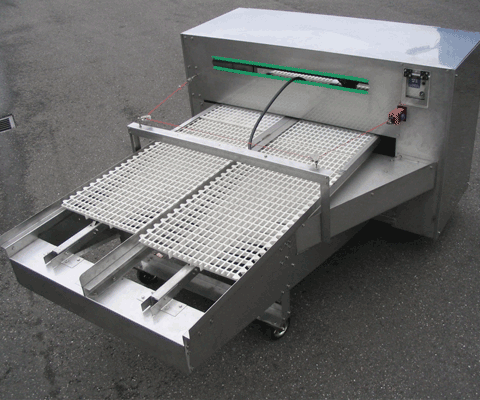 For example the AutoShov® system and Slat Washer. 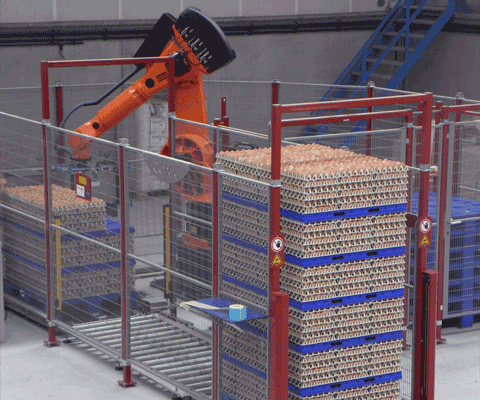 Egg transport systems are designed to handle eggs gently, which preserves the quality of the eggs.